Discussion in 'Under Construction' started by Silver04, Jul 7, 2013. I see you ended up taking the top bosses off. Not thinking of mounting the coils up there anymore? Nope, coils will be relocated elsewhere. Interested to see where you go with them. Still love dat 04 chop, never gets old watching the vids. 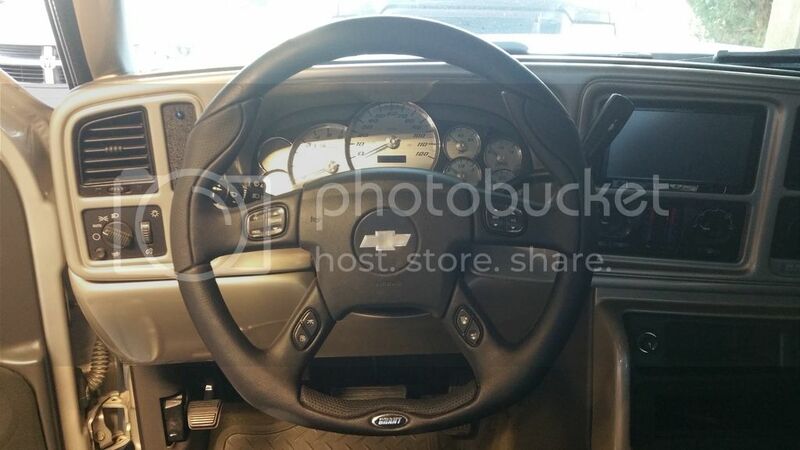 Grant steering wheel with trailblazer airbag with a silver overlay. That looks awesome. Can you get them without the steering wheel controls? Thanks. I don't think so. I just checked their website and they only list w/controls. How much did you get the steering wheel for if you don't mind me asking? How hard is it swap a steering wheel and a bag? Hand tools in the garage? Yes basic hand tools. I thought I was gnna need a steering wheel puller but I didnt. I gave a wheel a slight tug after I removed the nut and it came right off. You get a rebate after you send them your steering wheel. 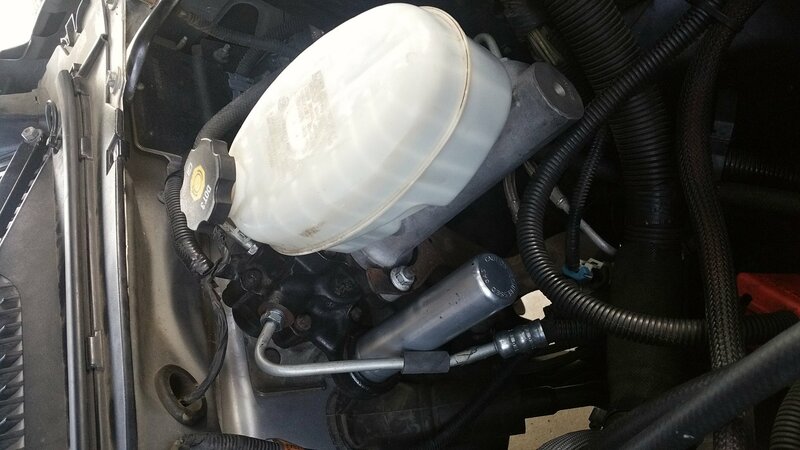 Finally got the hydroboost installed. Also did the sway bar bushings, endlinks and rack bushings. Bet the front end feels better after all that.